Presented here together for the first time are the greatest of the ancient Chinese classics of strategic thought: The Complete Art of War. Probably the most famous work of strategy ever written, Sun Tzu's Art of War has sold millions of copies in many languages around the world. Lost for more than 2000 years and only recently recovered, the Military Methods of Sun Pin (Sun Tzu's great-grandson) is a brilliant elaboration on his ancestor's work. 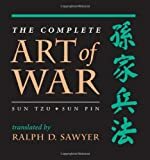 Only The Complete Art of War brings the wisdom of these two ancient sages into a single volume and gives the reader a unique opportunity to master the essentials of Chinese thought on strategy, organization and leadership. The Sun family writings on strategy have proven their value through the ages, and they continue to reward careful study. By unveiling the complex, often unexpected, interrelationships of armies locked in battle, they reveal the enduring principles of success in the struggle of life itself. 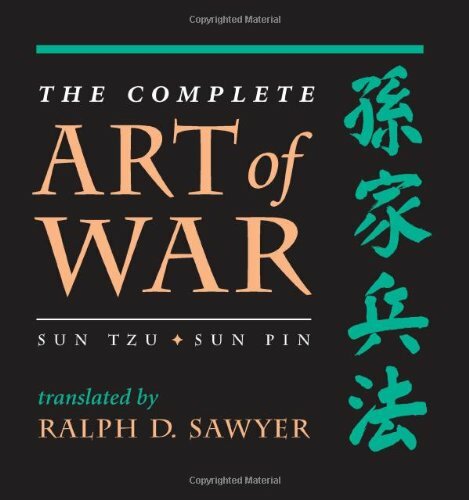 With a practical index to the essential principles of strategy, and Ralph Sawyer's thoughtful chapter-by-chapter commentaries, The Complete Art of War is designed to bring the reader new insights into the nature of human conflict. The teachings of the greatest military geniuses of all time. Sun Tzu collected his teachings into the ancient Chinese treatise on military strategy known as "The Art of War" about twenty-five hundred years ago. Afterward his teachings were passed down through the Sun family, or a group of disciples, who edited or expounded upon the original writings until they assumed their current form. Sun Pin was the great-grandson of Sun Tzu, and he used the teachings of his brilliant ancestor to develop his Treatise "Military Methods". This wonderful translation by Ralph D. Sawyer includes both of these ancient texts. "The Art of War" has been studied the world over by military, political and business leaders seeking to understand the nature of human conflict in all it's forms. Although thousands of years old, the teachings of Sun Tzu remain relevant even today. The maxims of Sun Tzu have been applied by students of "The Art of War" to such modern conflicts as the Korean and Vietnam Wars. Sun Tzu's teachings range from the seemingly simple, such as "Someone unfamiliar with the mountains and forests cannot advance the army", to the more complex and thought provoking, such as "In order await the disordered. In tranquility await the clamorous. This is the way to control the mind." The manual covers such diverse topics as training, supplies, terrain, the seasons and the use of spys, and includes detailed commentary by China's greatest military leaders through the centuries. "The Art of War" should be read by anyone who studies military history or strategy, and is part of the curriculum of many of the world's military academies. Studying the teachings of Sun Tzu can help you to form strategies for conflict resolution or negotiating in business, political or social endeavors through a greater understanding of human interaction. The Art of War is the oldest and best military treatise this world has seen. It is amazing how Sun Tzu can talk about strategy and warfare in thirteen short chapters. His book is just the best about competition and strategy. And now we get to Sun Pin, the military strategist. I have awesome respect for him. He was betrayed and mutilated by his best friend, and still, he survived. He defeated his nemesis in a great strategic way that Sun Tzu would have mostly likely done. These two are the best and if they were in this world today, they would won every war that we fight, by their ability to adapt. If you want to get Ancient Strategy and Chinese Culture, get this book. The publishing of both Sun Tzu's and Sun Pin's works together makes for a valuable purchase. I've found that this translation is also quite easy to follow, and the comments assist with interpretation. These works represent awesome insights into the nature of warfare. since there are no analytical material here. 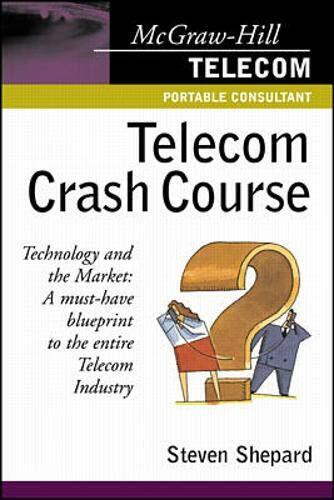 The book does an excellent job of being ubiquitous and covering all the aspects of the telecom field that you've ever heard about. At the same, I found it easy to skip around in reading chapters, based on my own priorities in buying the book. The chapters are divided very logically into sections on the Telephone network, Access technologies, Transport options, Protocols, etc. (if you have no idea what I'm talking about, you will after reading this book :). One of my favorite aspects of the books is that the author is very good at using diagrams to supplement his text, which can be rare in more engineering/technical books. The whole picture-worth-a-thousand-words idea, especially if you take the time to go through the diagrams. Yes, the text can require a few read-throughs - but telecommunications itself is a dense field that really requires one to be patience in reading and gain understanding of the technology. There *is* a lot of detail stuffed through out the chapters, and perhaps not everyone will care to know everything -- but that is alright, there is no harm in skipping the nitty-gritty of sections that do not interest you. Please, please, please do not let the bad reviews of this book discourage you from checking it out. I just finished reading the entire book, and wanted to log on to share my high opinion of it. First off, a word of warning: Pay heed to the reader's words from Woburn Mass, all of the 5 star reviews of this book actually are from people who are mentioned in the book's acknowledgements. I purchased this book mostly to learn about telephony. I already know a lot about data networking, and I wanted to expand my knowledge of other aspects of telecom and optical WAN technologies like SONET and SDH. I knew I was in for trouble after reading about 50 pages. Have you ever read a technical book where you had a really hard time absorbing the info, even when you re-read the same paragraphs over and over again? Well, chances are it's not your fault, it's the author's! I can say this for sure about this book, b/c it described stuff that I already know about, and after reading it, I was more confused than before! Part of the problem is the author's complete lack of organizational logic. On page 2, he describes all of the "techno-jargon" that permeates the telecom industry, and "often gets in the way of the relatively straightforward task of learning how all this stuff actually works". I totally agree, jargon should not obfuscate. BUT, if you're going to point out this common pitfall, you best avoid it yourself, and Shepard does not! He's all over the board, dropping terms and concepts with little or no explanation. About 10 pages in, it's already a muddled mess. The mess gets worse. He discusses all of these different approaches to multiplexing, but doesn't take the time to explain what the basic process of multiplexing is all about until page 200! Throughout the entire book, he constantly refers to switching versus routing, but he doesn't explain the basic processes until the final 2 pages! These are just a couple examples that stuck out in my mind. To be sure, there is some useful information to be gleaned here, but it's hard to sort out from all the "noise". Shepard gets into way too much detail on certain subjects and not enough on others, without any discernable logic. For example, he spends several pages discussing how fiber cables are manufactured, but spends less than one page discussing the basic processes of routing and switching. However, given the topic of the book, isn't the latter subject a lot more applicable? As far as I know, telecom professionals don't need to make the actual fiber cables. This book is too technical for someone who doesn't know anything about telecom, and it's not practical enough for someone who knows a lot. If you're in between like me, you stand to gain a decent high-level overview of the industry, but the details are murky at best. As an industry outsider with limited technical experience, I found this book informative, easy-to-follow, and entertaining. My compliments to the author for a job well done. The author has a knack for seeing the big picture and coming up with funny metaphors to describe it (see Austrailian rules football in the other review). Also, he has a lot of friends in the business - four of the 5 star reviews below are from people listed in the acknowledgements. There is technical material here but the selection is sort of random, so you may or may not find a detailed explanation of a subject you're looking for. But his brief discussion of JPEG compression was so absurdly wrong it made me less enthusiastic about reading through the rest of his technical presentations. I won't say this book is worthless, because he does have a marketer's flair for making business sense of technology and predicting trends, and there is probably enough material here to fill a few good magazine articles. One of them, on the psychology of computer hacking (inserted in the middle of a discussion of the OSI protocol stack), unfortunately has nothing to do with telecom. Also, the mini-Esperanto/English dictionary is entertaining but probably should have been left for the author's web site. I mean, I agree that's funny, but there are those of us who paid for a book on telecom. 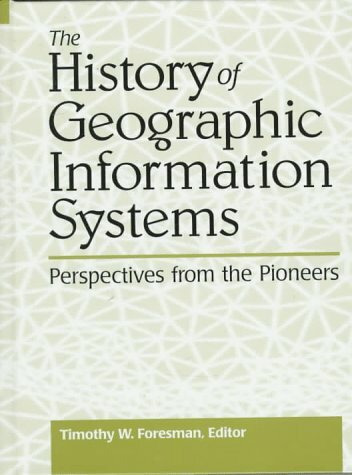 If I were starting out in the telecommuncations field, this would be the first book that I'd recommend that anyone read. It gives you a high level look at: what protocols do and are used for; what the primary access technologies are; a great description of the telephony system that provides the main infrastructure of the Internet; and, the primary transport technologies that are being used today. Because this is a "crash course" book don't look for great detail in every topic, however, if you are looking for a compendium that covers the telecomm field all in one book then this is the book you need. My networking background has been mostly in the copper and fiber optic technologies, so I found the sections about the new 802.11 wireless technologies the most interesting. But some of things that I found unique for a book like this and most fascinating are the pictures of scenes and equipment taken inside of actual telephone central offices and the anecdotes about real life happenings in the telecommuncations world. For those of you interested in the state of the telecommuncations industry, you may want to go straight to the last chapter entitled "Final Thoughts" where the author gives some very interesting comments about the industry on a global view. With "Longitude" Dava Sobel has written a very interesting book about the greatest scientific problem of the 18th century. As a result of the 1707-shipwreck story (with a loss of 4 out of the 5 ships), the English Parliament offered in 1714 a 20.000 pounds reward to the person that could provide a practicable and useful way of determining longitude. (If you have forgot, longitude is the "lines" that runs from pole to pole). Not being able to determining longitude was a great problem. Ships spent excessive time trying to find its way back to port, or worse men, ship and cargo were lost at sea. John Harrison (1693-1776) spent his lifetime trying to solve the longitude mystery. Harrison was a son of a countryman, with minimal schooling, and was self-educated in watch making. He made several timepieces, which all qualified for the reward, but the reward was delayed several times by the Longitude committee whom believed that other ways of measuring longitude were the preferred ones. Ultimately after a lot of harassment and trouble, Harrison was given the reward money. Dava Sobel has done a wonderful job in this book, capturing Harrison's fascinating character, his brilliance, preserving and hard working nature. The author has also managed to strike a perfect balance between technical jargon and personal anecdotes, and she does it in such a way permitting the lay readers of the book to admire the elegance of Harrison's discoveries. I believe it is a sign of excellent quality when an author makes learning so interesting. I was hooked from the first page of this book and I read it in 50-page gulps at a time. John Harrison (1693-1776) spent his lifetime inventing and perfecting a series of timepieces to measure longitude. As Dava Sobel relates in her engaging narrative, "Longitude," until the 18th century sailors navigated by following parallels of latitude and roughly estimating distance traveled east or west. Ships routinely missed their destinations, often taking excessive time to arrive or succumbing to reefs off fogbound shores. Thousands of sailors and tons of cargo were lost. In 1714, England's Parliament offered £20,000 (the equivalent of about $12 million today) to anyone who provided a "practicable and useful" means of determining longitude. Countless solutions were suggested, some bizarre, some impractical, some workable only on land and others far too complex. Most astronomers believed the answer lay in the sky, but Harrison, a clockmaker, imagined a mechanical solution--a clock that would keep precise time at sea. By knowing the exact times at the Greenwich meridian and at a ship's position, one could find longitude by calculating the time difference. However, most scientists, including Isaac Newton, discounted a clock because there were too many variables at sea. Changes in temperature, air pressure, humidity and gravity would surely render a watch inaccurate. Harrison persisted. As Dava Sobel writes, he worked on his timepiece for decades, though he suffered skepticism and ridicule. Even after completing his timepiece, an instrument we now call a chronometer, in 1759, he underwent a long series of unfair trials and demonstrations. Ultimately he triumphed. Sobel, a science writer who contributes to Audubon, Life, Omni and other magazines, captures John Harrison's extraordinary character: brilliant, persevering and heroic in the face of adversity. He is a man you won't forget. This slim volume tells the story of John Harrison who, although untrained, built four revolutionary clocks that changed how ships navigate at sea. It also tells about the political fight Harrison was forced to fight to win recognition for his work. Written in a easy-to-read, "magazine" tone the tale goes quickly, whole years pass in a couple sentences. I wanted more details and this is where the book disappoints but it may not be the authors fault The book hints that many events weren't recorded and more details just aren't available. One technical note: I think the font used in this tiny, five by eight inch book is a little small and the page numbers, even smaller, aren't readable at a glance. Or maybe I'm getting old. Great story, but BEWARE of inaccuracies in this book. John Harrison completes his first pendulum clock in 1713 before the age of 20. He made the gears for this out of wood which was radical for such a use, but as a carpenter, perhaps not to him---which is a mark of genius, I'd say; to reach beyond accepted norms in this manner. This he did after borrowing a book on math and the laws of motion; which he copied word for word, making his own copy. He incorporated different varieties of wood into his clock for strenth and later invented a bi-metal pendulum to counteract the expansion and compression of various individual metals. He also employed friction-free movements so as to do away with problematic lubricants. When intrigued by the puzzle of time at sea and the issue of longitude he contemplated substituting something not prone to gravity, as a pendulum of course is, to track times passing. In 1737 he creates a cantilevered clock 4 foot square. This the longitude board (which had offered a cash bonus to anyone who could devise a method in which time at sea could be kept) admired. Four years later he returns with an improved model; then starts on a 3rd model, like the previous two, also a fairly large sized clock.But there exists a problem within this book: An artisan freemason by the name of John Jefferys at the Worshipful Company of clockmakers befriends Harrison and then later presents to him a pocket watch in 1753. Then in 1755, while still working on his 3rd model, Harrison says this to the Longitude board: I have..."good reason to think" on the basis of a watch "already executed that such small machines[he's referring to pocketwatches] may be of great service with respect to longitude." He then completes version 3 in 1759. His fourth version appears just a year later, however, and is a 5 inch wide pocketwatch! The obvious inference made by the author is that after he received the pocketwatch from Jeffreys he seemingly put his version #3 on the backburner and soon started on the pocketwatch 4th version. The author does not claim Harrison copied anything from the Jeffreys model, but she certainly phrases this section so as to lend one to believe that this may have been the case; that Jefferys had a hand in the masterstroke invention Harrison eventually produced in version #4. This is not true. Harrison commissioned the watch he received from Jeffreys and was based on Harrison's specifications. It seems that Harrison simply asked Jeffreys to test an idea which he himself hadn't the time to attack just then; as he was still working on his 3rd version of a table-top prototype clock. Hence Harrison's above statement to the board in 1755 whence his ideas were validated by Jeffreys. In addition, the author plays up the part of the Astronomer Royal's part in attempting to impede Harrison from convincing the longitiude board of the efficacy of a time-piece solution to this problem over a celestial answer to this conundrum. The author also jazzes up the issue of whether Harrison received the prize the board promised to pay for a successful solution herein; even though the board supported him for upwards of 20 years as he pursued this quest. It's as if the author intentionally omitted some facts (that the Jefferys was a Harrison commission), and pumped up others (of a rival/foil on the board trying to impede Harrison and the compensation issue; implying that Harrison was jipped) just to make the story more compelling. John Harrison's story, however, is extremely compelling as it is and didn't need this extra spice served up by the author.Do read this (very short) book on how this Mr. Harrison solved the problem of knowing where one is when at sea; and if you're in London, visit the Old Royal Observatory and the Clockmakers museum (in the Guildhall) where you can see Harrison's wonderful creations in person. Enjoy! LONGITUDE: (81 degrees 9 minutes West). In order to understand the significance of this remarkable book by Dava Sobel, the reader has to understand some words and phrases in the book's title and subtitle. Finding the latitude on land or at sea was easy and eventually a device was invented to make it even easier. But finding longitude, especially at sea on a swaying ship was difficult, a difficulty "that stumped the wisest minds of the world for the better part of human history" and was "the greatest scientific problem" of the 1700s. Ways of determining longitude astronomically were devised, but these proved to be impractical when used at sea. England's parliament recognized that "the longitude problem" had to be solved practically since many people and valuable cargo were lost at sea when the ship's navigators lost sight of land. Thus, this parliament offered a top monetary prize that's equivalent to many millions of dollars today to anybody who could solve the problem. Enter "a lone genius" named John Harrison (1693 to 1776). While most thought the solution to the problem was astronomical, Harrison saw time as the solution. (i) The Earth takes 24 hours of time to spin 360 degrees on its axis from east to west. (ii) Noon (12:00 PM) is the highest point the sun seems to "travel" in a day. (1) Know the time it is aboard ship (local noon was normally used because of fact (ii) above). (2) At the very same moment, know the time at a known longitude (such as at Greenwich, England). (3) The difference in time between (1) and (2) is coverted to a longitude reading in degrees and direction (using fact (i) above). Harrison's solution was the accurate determination of time of (2) above by inventing a reliable timepiece. This timepiece, in this case, would be set to Greenwich time. (Note that, as stated, (1) could be determined using the noon-day sun but this was not always practical. Eventually another timepiece was used to determine the ship's local noon for a particular day.) It has to be realized that this was the "era of pendulum clocks" where, on a deck of a rocking ship, "such clocks would slow down or speed up, or stop running altogether." Harrison was to capture time by building a marine clock or "timekeeper" (eventually called a "chronometer") that could be used on a ship at sea. This book tells the "true story" of Harrison and his chronometers. (There were five built over a forty-year period. Harrison's first timekeeping device was known as H-1, his second was H-2, and so on.) Sobel uses accuracy (as evidenced by her thirty references), extensive interviews, and an engaging, mostly non-technical narrative (only essential technical detail is included) to convey a story that's filled with suspense, heroism, perfectionism, and villiany. All this in less than 200 pages!! The only problem I had with this book is that it has hardly any pictures (photographs and illustrations). I would have liked to have seen pictures of the various people involved in this saga, maps showing where ships traveled, more photos of Harrison's amazing timepieces (both interior and exterior), and diagrams that explained important concepts. A diagram that actually showed how longitude, using a simple example, is calculated (using the steps above) would also have been helpful. Finally, there is a good 1999 movie entitled "Longitude" based on this book. Be aware that even though this book is short, the movie is long (over three hours). 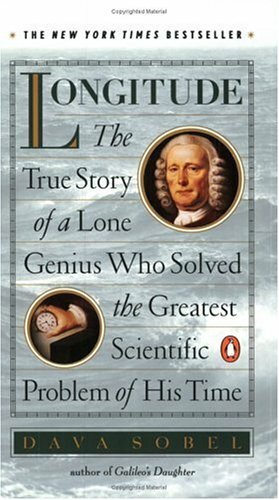 In conclusion, this book documents the exciting "true story" of how "a lone genius" solved "the longitude problem." Sobel states this more eloquently: "With his marine clocks, John Harrison tested the waters of space-time. He succeeded, against all odds, in using the fourth...dimension to link points on a three-dimensional globe. He [took] the world's whereabouts from the stars, and locked [or captured] the secret in a...watch." I found the book to be the complete antithesis to the expected writings hidden behind the scientific cover. Watson and his clan's quest for the helixical structure of DNA made for an entertaining voyage within these pages. Unexpectedly, as many scientific based books that I have been privy to read lately, this book was very approachable, dare I say readable. The exploits recounted by Watson were very entertaining; they could even be considered witty and humorous although it was biosciences humor. The teamwork and competition aspects of the discovery of the double helix were unexpected but welcomed because I felt that they were the driving forces behind the people. I was impressed by Watson, Crick and Franklin all bringing something to the proverbial table even though I found it a tad bit lucky or coincidental, but that is how these things work sometimes. 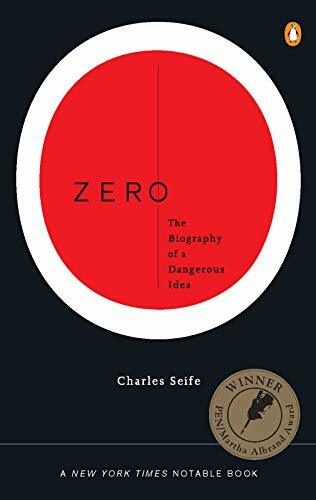 This, accompanied with the race against Linus Pauling (already a recognized scientist of the time) helped lend to an educational, insightful and entertaining few hours of reading about the basic structure of all of us. I felt like I took a little something with me when I was finished with this work.......and I do mean literally. 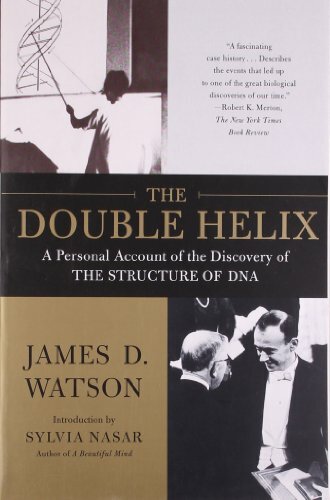 The Double Helix, by James D. Watson is a great book. I have learned a lot by reading this book. It is a simple book that contains lots of humor. I have discovered that Watson is a smart, but at the same time funny, while competing with an admired scientist, Linus Pauling. Watson makes the book fun to read because he conveys his process vividly and shows how important DNA is to the world. All of this started in a dumpy, worn down chemical lab at Cambridge University called "The Cavendish." Watson was interested in investigating the structure of DNA to gain more insight into genetics. James Watson shows that his discovery was also part of Francis Crick, his partner that helped him. However, Crick was sometimes not very helpful because he wondered off. Watson had to get use to the structure of Cambridge where they had meals and everyone sat together on a special table on an elevated platform and were expected to engage in an enlightened conversation. I also like the part where Watson is honest by showing his ignorance on X-ray crystallographic techniques. I also enjoy the sarcasm in chapter 15 where they say, "After Pauling's success, no one could claim that faith in helices implied anything but an uncomplicated brain." Also the information from page 83 describes that ratio of bases of DNA: where A-T and C-G, which is what I have learned in class. Therefore, I believe that The Double Helix is a great book worth reading because it does not contain much technical terms and is also a short book that will show important the discovery of DNA was and still is to the world. Ok. I'm giving this book a 4 because of the importance of the discover of the structure of DNA. In terms of actual reading material, however, I'd probably give it a 2 or 3. I do believe that James Watson is a great scientist, but he is not writer. His writing style is only adequete and far from interesting and he really doesn't do a great job of putting interest into the subject matter. Someone who does not have at least a little background in the general concepts or biology/organic chemistry/physics will probably not get much out of this book. Now on to the science side of the book. Watson describes the various events that took place while he, Franscis Crick, Maurice Wilkins, and Rosalind Franklin worked on discovering the structure of DNA. Again, Watson does not really put much vigor into these events but does describe them realistically (science can't always do interesting). 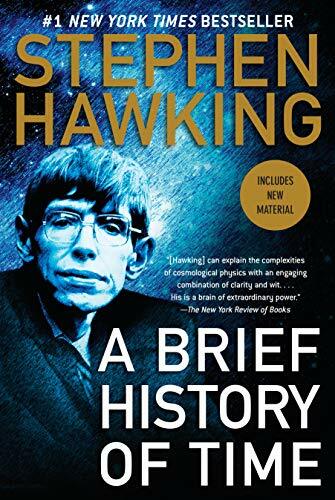 He focuses on his relationship with Crick, battles with Franklin, and competetion with Linus Pauling--the Nobel prize winning chemist who ironically get the structure of DNA wrong. Through his writing, Watson at times reveals his pompousness and his ignorance of certain scientific concepts, but overall shows his devout eagerness of discovery. I would say that this is an important book to read if you are at all interested in science. However, it is probably too boring for just a fun read. Science and I have never been on a level playing field. We go together like jalapenos and cheesecake. When the opportunity arose to do extra credit for my biology class, I was ecstatic. That is until I found out exactly what the assignment was. I had to read a book, a scientific one of course, from a list compiled by my instructor, write a review, and post it on here on Amazon. If I wasn't so desperate for the extra points I would have torn that book list into a million pieces, but describing my need for an A as desperate would be an understatement. Naturally, I chose the book with the least amount of pages, James Watson's Double Helix. The title alone made me drowsy. I was in for a big surprise, though. I actually enjoyed the book and even learned a little bit in the process. The story was extremely well told and I found myself eagerly awaiting the answer to Mr. Watson's burning question, "What does DNA look like?" James Watson was en exceptionally intelligent man, as was clearly demonstrated in his book by his eloquent writing style, extensive vocabulary, and impressive syntax. He was, however, not an intimidating scientist, which allowed me to relate to his story with ease. Watson was full of ideas, a quick study, and very receptive to the work of his superiors, but at the time of his brilliant discovery, he was merely a student, fighting to get funded for his research. He had studied biology, chemistry, and physics, but was not particularly fond of any of them. Unfortunately, Mr. Watson was at a disadvantage because all three disciplines were the building blocks for understanding the composition and structure of DNA. Although James Watson was funded to research viruses while away in England, his immediate fascination with DNA quickly derailed his educational focus, and with several incorrect theories about DNA already spread, he was unquestionably discouraged from his desired area of study. 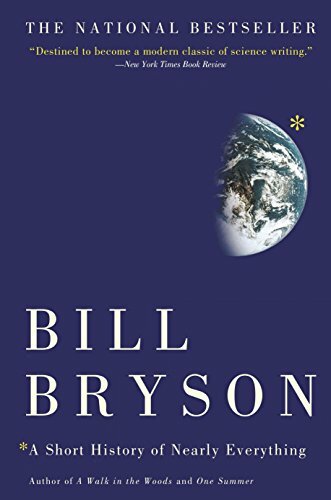 The entire book boasted his bliss and reverence, having met and worked with some of the worlds most famous and respected scientists. Watson was clever enough to draw knowledge from each of them which assisted him throughout the stages of the project. The best part about reading the book was that while I was devouring my literature, my Biology professor was covering DNA and genetics in class. I felt like the smartest kid in the world because I truly understood all the material he was discussing, thanks to Mr. Watson. The novel included supportive illustrations which assisted me in following some of the more difficult language, such as nitrogenous bases, and phosphate groups. I was astounded to know that I had a firm grasp of a minute portion of the scientific world. I thought the book was great primarily because I could understand it. While it may sound facetious, it's absolutely true. Unless you love science, the terminology involved sounds completely foreign. I was utterly terrified just thinking about how I was going to attempt to comprehend my newfound author. My fright was quickly put to ease as I turned each page. Initially I was dreading reading a few pages per night, and soon found myself reading five chapters a night and finished the book, in its entirety, within just a few days. I would undeniably recommend this book to anyone like me who feels inferior when it comes to the sciences. It is a superb account of a scientific breakthrough intertwined with a story of friendship, inspiration, competition, and triumph. Shame on Watson for "taking" data from Rosalind Franklin and not even acknowledging it. My wife and I watched the Nova program "Secret of Photo 51" and was outraged. This book is a how Watson would like the world to believe how HE discovers the structure of DNA. Stanford refused to publish this book. Watson's ethics is questionable. I read this book after hearing a talk by Pollan on New Dimensions radio (in their "Bioneers" series), and I found it (like his talk) perfectly delightful. I don't agree that his use of science is misleading: he's done his homework and researched his subjects pretty thoroughly, and if he takes sides on an issue (e.g., anti-pesticide and anti-genetic-engineering), it's a reasoned conclusion rather than an unthinking bias. The book is anecdotal and impressionistic, not a closely-reasoned scientific argument, but I felt that its rather loose structure worked well: it's a fun read, he kept me interested all the way through, and I learned a surprising amount about history, botany, and horticulture. I've read several accounts of the Potato Famine, but Pollan's "take" on it was intriguing: he sees it as the world's most ghastly example of the dangers of monoculture, and I agree that it's a lesson we all need to take to heart. (But it's also a case of How A Fungus Changed The World: if the potato blight hadn't dispersed the Irish all over the world, many countries -- in Latin America, as well as the obvious contenders, Australia and the U.S. -- would be very different today.) The book is easy to read and amusing, but he also makes some important points, and I have no hesitation in recommending it. The fact that Pollan is not a scientist, but an avid gardener and researcher, among other things, should be considered an asset to the reader. He avoids esoteric scientific terminology, but the text remains sophisticated because his allusions prove huge amounts of research. Each part of the book, each "desire", has its own special charm. I would be hard pressed to choose a favorite. This book truly opens one's eyes to "a plant's-eye view of the world". Though by no means the be-all-end-all on this topic, it is a beautiful natural history. How passionate are you about plants? Pollan's book was pleasurable and engaging to read. It is a book that got me to think and expanded my perspective. It places our relationship with plants in specific contexts, with a unique hybrid of sociological and genetic prose. Recommended highly for those passionate about gardening, nature, or food. While you probably wouldn't want to use "The Botany of Desire" for scientific research purposes, this excellent nonfiction book effectively combines elements of science with those of history, cultural theory and mythology (from the early Greek to the Frontier American varieties). The tone is casual, not scholarly. Pollan is also a gardener, and his passion for growing things and his curiosity about life from the plant's-eye view shines through his text. 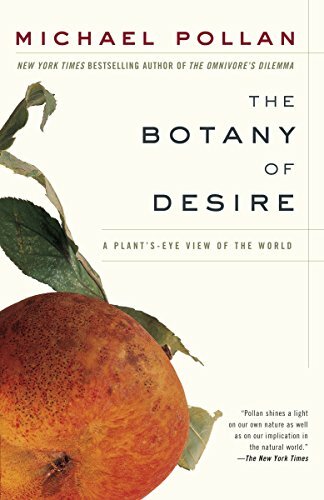 "The Botany of Desire" is a nonfiction book with an innovative structure: instead of telling a straight chronological story of the domestication of plants, Pollan instead selects four plants and tells each of their stories in turn, describing how their progress through the world has been shaped by human desires -- and the changes in those desires through history. This book is also a travelogue of sorts: Pollan journeys through the Midwest in search of Johnny Appleseed's true life story, to Holland for the Cannabis Cup and the historical sites of "tulipomania," and to corporate factory forms to learn about genetic modification of the potato. Most importantly, Pollan shows us around his own garden and introduces us to the plants that live there. Each of the four historical narratives begins and ends with the plant's history in his own backyard. As a host and a travel guide, Pollan takes on a fascinating journey through time, nature and culture. I highly recommend this book to plant lovers and gardeners of all varieties, and to those who are interested in the shaping of nature by cultural forces (and vice versa). If this isn't you, it would still probably make a great gift for someone you know. There's a "Frank & Ernest" comic strip showing a chick breaking out of its shell, looking around, and saying, "Oh, wow! Paradigm shift!" Blame the late Thomas Kuhn. Few indeed are the philosophers or historians influential enough to make it into the funny papers, but Kuhn is one. The Structure of Scientific Revolutions is indeed a paradigmatic work in the history of science. Kuhn's use of terms such as "paradigm shift" and "normal science," his ideas of how scientists move from disdain through doubt to acceptance of a new theory, his stress on social and psychological factors in science--all have had profound effects on historians, scientists, philosophers, critics, writers, business gurus, and even the cartoonist in the street. Thomas Kuhn was born in Cincinnati, Ohio, in 1922. He taught physics at Harvard, the history of science at Berkeley, and the philosophy and history of science at Princeton and MIT. His best-known book, The Structure of Scientific Revolutions, introduced the term "paradigm shift" into the modern vocabulary when it was first published in 1962. Kuhn's study of paradigm shifts in science makes it hard to view science as an objective discipline that steadily advances towards the truth. Instead, Kuhn shows science to be a very human enterprise where truth is as likely to be resisted as it is to be embraced. In The Structure of Scientific Revolutions, Kuhn defines a "paradigm" as a set of assumptions, rules, or model problems that define what the important questions are and how to go about answering them. Without a paradigm, would-be researchers are overwhelmed by the sheer mass of data. A "paradigm shift" occurs when a group of scientists reject all or part of their existing paradigm to adopt a new one. This process not only means changing assumptions: it also means reevaluating previous conclusions to see if the old facts still fit within the new paradigm. Kuhn uses the term "normal science" to describe the work that scientists do as they work within a given paradigm. Their shared set of assumptions, rules, and model problems fairly makes it easy to see what research remains to be done. Occasionally, anomalies will appear. These are events that cannot be explained within the existing paradigm. Normal science tends to ignore anomalies. Instead, by concentrating attention on a small range very specific questions, "the paradigm forces scientists to investigate some part of nature in a detail and depth that would otherwise be unimaginable." As more and more research is done within a given paradigm, anomalies tend to crop up. This is because the existing paradigm makes very exact predictions about the expected results, and normal science tests those predictions in ever-finer detail. At first, when the results do not match the predictions, those results are discounted. Some researchers assume the equipment was faulty and so they don't publish results that would only seem to embarrass them. Others try to account for the results by some refinement of the existing paradigm. (The classic case of this involved the medieval astronomers, who kept adding more and more "epicycles" to their Earth-centered model of the universe to explain the results they observed.) Finally, researchers are human, and have been known to simply "fudge" the data to match what the paradigm predicts. Thus, even if every experiment produced exactly the same results, the published research in that field might show a range of results. Eventually, as the anomalies accumulate, scientists begin to acknowledge a crisis. The results no longer fit the paradigm. According to Kuhn, however, simply abandoning the paradigm is not an option. A scientist can get so frustrated with the paradigm that he abandons it to become a priest or open a bicycle shop, but in doing so, he quits being a scientist. A scientist is not a scientist without a paradigm. The only way a scientist can abandon a paradigm and still be a scientist is to adopt a new one. Kuhn calls this a "scientific revolution." Kuhn blamed textbooks for creating a false impression of the nature of science and of the role of discovery and invention in its advance. When Kuhn first published his book, science was generally presented as an objective advance towards truth. According to Kuhn, textbook publishers downplayed the "revolutionary" changes that had taken place in their fields. In 1962, if a textbook covered the history of science at all, it tended to make the advances look inevitable. Kuhn argued that science textbooks present an inaccurate view of the nature of science: they make it look as if science had reached its present state by a steady process, like adding bricks to a building. The revolution is over when one paradigm displaces another, after a period of paradigm testing. According to Kuhn, however, this is not the result proving one paradigm true and another false, however. To some degree, each paradigm is able to account for all the observations that fit within its set of assumptions and rules. The great German physicist Max Planck used to say that old scientists never change their minds: they just die. Kuhn claims this goes a little too far: instead, scientists slowly convert to the new paradigm, for a number of different reasons. Eventually, if a new paradigm is successful, only a handful of hold-outs support the earlier worldview. Kuhn's book set off a scientific revolution in its own right. People routinely speak of "paradigm shifts" now, and historians of science (and textbook writers) are much more likely to report on the kinds of controversies that were invisible before The Structure of Scientific Revolutions was published. Kuhn concludes with a startling claim. He argues that scientific revolutions take place in a blind evolutionary process. Paradigms compete for survival, not for truth. This contradicts the "modern" assumption that mankind is steadily advancing towards the truth through science. Given Kuhn's revolutionary impact on our view of science, this book may mark the beginning of the end of the "modernism." 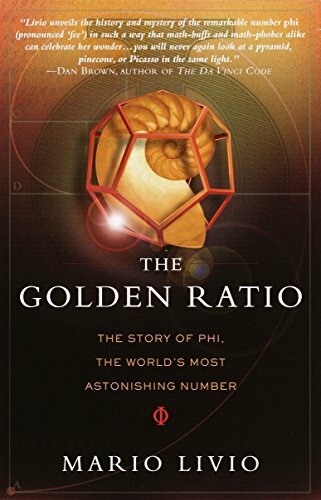 This book frequently pops up on a "Top 100" or "Best Science Book" or some other list for a reason: Mr. Kuhn was the first person to step back and look at the complex way in which science and scientific study have advanced over the course of humanity and try to put those observations forth in a logical manner. He succeeded brilliantly. Mr. Kuhn's main point is that there are two phases of scientific discovery, "normal science" which is built on established principals, rounding out gaps in existing theories until the theories begin to unravel, at which point we have entered a period which will require a "paradigm shift". Mr. Kuhn takes the reader through multiple historical examples, the shifts in scientific thought brought about by Copernicus, Newton, Lavoisier and Einstein. His references are relevant and his thoughts are clearly put forth. The historical anecdotes are very entertaining and educational and do a solid job of reinforcing his point. I must admit I was a bit concerned during the first chapter, it was a bit tough to make it through, but did a very good job of laying the groundwork and allowing a glimpse of the author's thought process. The second chapter, in which the author begins to define "normal science", immediately put me to rest as the author dove straight into making his point and proving his argument. The final three chapters pertaining to the Invisibility, Resolution and Progress of revolutions should be required reading for anyone who works in the sciences, and is immensely valuable to anyone working in any field. I have been surprised that there haven't been more straight on business interpretations of Kuhn's work (although there has obviously been much unreferenced piracy), as the spread of scientific thought is a very apt metaphor for the spread of business theory and product adoption. This is a very good book and I highly recommend it, regardless of what field you work in, be it science, business or otherwise. The complete title of this review is "Philosophic common sense applied to Science Evolution of Thought". Basically the central thesis of Kuhn was that science evolves through paradigm shifts, and of course he conceives science as a compound of theories and laws based on the most agreeable paradigms of the epoch. I found this book refreshing and interesting from at least two perspectives, filosofically and historically. Also this book is read as a compendium of consecutive works that altogether make a coherent thesis, so it's easy reading it. Finally, Kuhn's style is very friendly and personal, so you really feel he is urging you to follow him in all his arguments. Reading this book was a great experience for me, and I highly recommend it. This relatively easy read while, focusing on the history of changes in scientific paradigms, really is applicable to a much wider audience. It is a recommended "must read" for anyone in the organizational facilitation or organizational development field who needs to understand how difficult it is for organizations to embrace change. Kuhn well explains how community paradigms are formed and perpetuated, and just how difficult it is for people to accept changes to their paradigm, and why organiations facing necessary changes to their paradigm are prone to label the changes as "anomalies" so they can be discounted and avoided. Already climbing the bestseller lists-and garnering rave reviews-this "little masterpiece"* sheds brilliant light on the equation that changed the world. I would give him five stars for his comprehensible explanation of the physics and the time he spent thinking of metaphors for the equation that make its effects understandable. However, his portraits of figures like Oppenheimer and Heisenberg are way off--extreme readings of uncited evidence that is frankly in conflict with both the historical record and the way that contemporary historians interpret it. Heisenberg was NOT a convinced Nazi--he was a German nationalist. There's a difference. Oppenheimer's personality problems were not at the basis of his later exclusion from further government nuclear research--his communist sympathies were the reason. Bodanis makes Teller sound like a crazy and not like the venerable scientist he was. What's sad about all of these misportraits is that they cast doubt on things I want to believe, about Lise Meitner and Celia Payne, for example. Read with care, and compare to a real book about the Manhattan Project (like Richard Rhodes' "Making of the Atomic Bomb") before you swallow this picture whole. For a much more balanced picture of some of the personalities involved that includes a readable account of the science, check out Freeman Dyson's "Disturbing the Universe." This is a mildly eccentric book on Relativity. 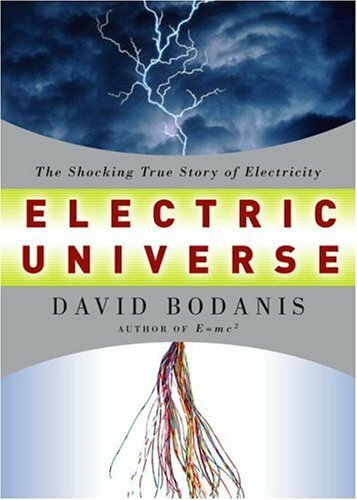 David Bodanis claims at the start that he won't be talking about physics and Einstein --- he's just going to tell you about The Famous Equation. But once he's done with the first chapter, which goes through the basic principles of the equation step-by-step, he gets into physics and Einstein. He loses his focus quickly, but he's always entertaining. Bodanis loves colorful anecdotes about physicists, the art of discovery, contributions by neglected scientists (primarily women), and the prospect of the Nazis building an atomic bomb. It's this last topic that weakens the book. Frankly, the Nazis never came close to building an atomic bomb. Yes, they would have had a Fat Man or a Little Boy if they built reactors and had heavy water and understood the physics and had a team of scientists working on it and they tested it. But they didn't have any of it. "Might have" doesn't cut it. The second half of this book is made up of biographies of scientists and extensive footnotes. Bodanis makes good use of the notes, giving you plenty of sources and a lot of additional information. His personal interests are on full display here, as he mentions whatever concept or story that the footnoted information triggers in his mind. It's fun to read, although it does tend to wander. I recommend this book to anyone who's read a little bit about Relativity. It's a useful refresher, an eccentric view of the topic that will keep your interest. 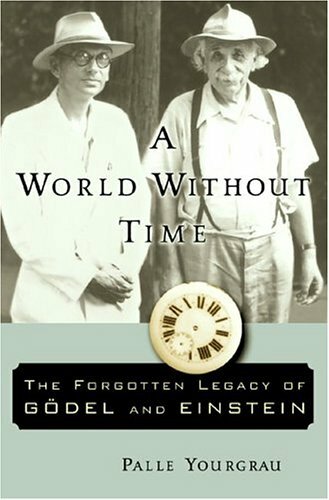 If you've never read about Relativity, try Gribbin and White's biography of Einstein first --- or, better yet, Richard Wolfson's book on Relativity (which is still the best). Reading this book requires E.
The simple equation having only 5 symbols is deep in meaning. It took the genious of Einstein to put the equation together way back in 1905 - - - What E found was: Energy equals mass when you accelerate mass to the speed of light squared. That's 670,000,000 mph times itself. C stands for 'celeritis' in latin and it means, 'swiftness.' C squared is 448,900,000,000,000,000 mph! No speedometer exists on Earth that can travel that fast! WOW! Einstein knew that energy could naturally transform itself into mass under specific and unique condtions. The equation was published in 1905 and essentially remained dormant and untested until the war. Then it became a horrifying reality that Einstein himself wished he never uncovered all those years ago. Other scientists converged their great minds together in a think tank called the Manhatten Projet, and the world changed for the worse --- upon their nuclear discoveries. Did Fat Boy really need to do what he did? NEVER! THe controversy broils to this day. It is so strange to contemplate that in the pool of the most intelligent men on Earth, not a one of them was smart enough to forsee the evil that they created. Like the saying goes, "You can lead a man to wisdom, but you can't make him think." None of them thought about what this nuclear power could do when left in terrorist grips. This book tells the story behind the famous little equation. Einstein did play a part in developing nuclear arsonel, even though he later denied he encouraged it. Please see his letter to President FDR on pages 117 - 18. The reader is left to draw thier own conclusions on that. Regardless of the controversy, I read this book and must give it my highest recommendations to all who ever wondered what this equation means. It's deep but not complex. It's complex but not inaccessable by average minds. What's really chilling is reading what is not said in between the lines of this book. Could we have avoided the discovery of the Atomic bomb? Imagine our world without it.....and to think, the Germans weren't all that close to uncovering the secret behind the destruction. 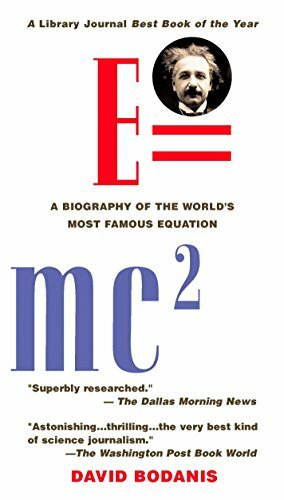 This is a good book about E = mc 2. Read it and learn that all discoveries have a dark side. In this slim and easy-to-read volume, David Bodanis gives us a meandering history of relativity. First, he looks at each of the individual pieces of the equation (even the equals sign gets its own chapter). Then, he builds up a discussion of other relevant work that led to Einstein's famous equation. He next discusses its applications. The book closes with an immense amount of back matter, including the footnotes and suggested further reading on the topic. 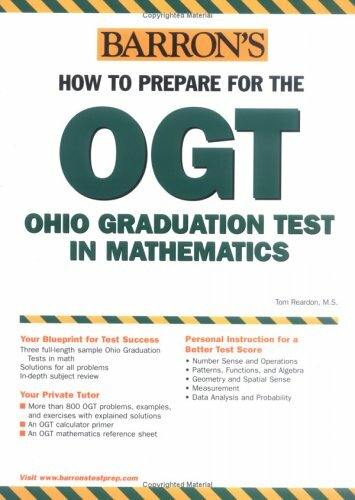 This book is not for physics students who are already intimately familiar with the requisite mathematics and physics. It is intended for a general audience that probably can't remember calculus (or was never introduced to it in the first place). Bodanis engages in a bit of handwaving to make the more difficult parts easier to accept; in general, he acknowledges this. I can't fault him for this decision, although the mathematician in me occasionally found it a bit frustrating. Make sure that you read the footnotes! It's not necessary to flip back and forth between the main text and the footnotes, but at least read them when you've reached the end of the chapter. Scan past the ones that are simply listing the source material, and read the ones that are longer. There's a lot of great information to be found in those footnotes that doesn't quite fit into the main text. Some of it tells you a bit about what was going through the author's mind when he wrote his book, other material elaborates on what is in the book. Also, read through the list of suggested readings. It's like getting book recommendations from a well-read friend. The suggestions are thorough, insightful, and often entertaining. A journalist with unique access tells the gripping, never-before-told, inside story of America's elite troops in action -- from the nadir of their reputation after Vietnam to their preeminence today on the frontlines against terrorism around the world. Special Forces soldiers are daring, seasoned troops from America's heartland, selected in a tough competition and trained in an extraordinary range of skills. They know foreign languages and cultures and unconventional warfare better than any U.S. fighters, and while they prefer to stay out of the limelight, veteran war correspondent Linda Robinson gained access to their closed world. She traveled with them on the frontlines, interviewed them at length on their home bases, and studied their doctrine, methods and history. 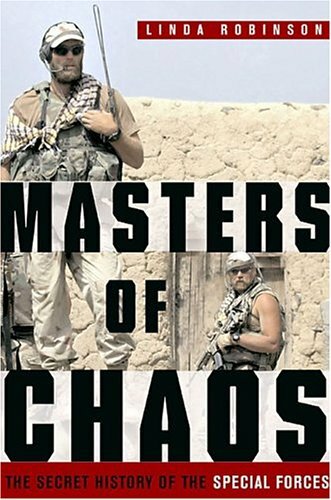 In Masters of Chaos she tells their story through a select group of senior sergeants and field-grade officers, a band of unforgettable characters like Rawhide, Killer, Michael T, and Alan -- led by the unflappable Lt. Col. Chris Conner and Col. Charlie Cleveland, a brilliant but self-effacing West Pointer who led the largest unconventional war campaign since Vietnam in northern Iraq. I remember stories about the Great Flu from older relatives who were children in 1918.It was like someone describing living thru the days of the black plague. I found this book to be a good history of that time and a good biography of the doctors who tried to stem the pandemic that was killing more Americans than German bullets in 1918.The epidemic killed 5% of the world's population between the ages of 15-35.A great tragedy when compiled on top of those lost in battle from 1914-18.Isolated peoples on the pacific islands and in the artic who had never been exposed to various strains of the flu were practically wiped out. I found the book provided an intimate glimpse into the lives of the people fighting the pandemic in the US and into those infected.It was also insightful to see the blindness of government bureaucrats who made decisions to promote the war effort at the expense of protecting the public from infuenza. The scariest thing is we're on a mutation or so away from another pandemic the size of 1918.See Nature's imaginary blog imagining such a future in this month's(May 2005) and be really scared. This is simply one of the very best books I've ever read. In fact, it's really three books, and the author executes each one of them magnificently. One is like a good adventure novel, fast paced, suspenseful, with well-drawn characters, a few villains, and a few heroes. This novelistic (though obviously well-researched and well-documented) book is imposed upon sort of a second book, an unusually perceptive and eye-opening history of the home front in World War I, of Woodrow Wilson, etc. Together they make great reading. The third book is almost separate; it is, frankly challenging reading if you, like me, know nothing about science. This part describes how the virus (and by implication all invading microorganisms) and our immune system interact, and gives you a very deep understanding from the level of molecular biology right up to why our nose runs. (I see one reviewer complained this book doesn't tell him about influenza. I can't see how he could possibly say this. My internist actually recommended this book to me, and he said the book tells you more about influenza than most doctors know.) If you're up to the challenge, you'll be happy you tackled it. If not, skip these parts, which are clearly delineated, and settle for the story-- a very important story, with direct relevance right now to everything from avian flu in Asia to the threat of bioterrorism. Although it is full of information about the pandemic of 1918, and the "story" of this event itself is fascinating, I found the book very poorly organized.The author did not follow a consistent plan for introducing the characters, describing the timeline of the pandemic, or illuminating the progress of medical science at this time and because of this event.All that info was there but not in a progression that was logical to follow. I was disappointed in this book. First, it only looked at the USA and ignored the rest of the world (this was a world-wide pandemic). Second, and more importantly, this is a study of the scientists looking at the pandemic and how it changed American medicine. If you are looking for insights into influenza and the Great Pandemic, look elsewhere. The title and dust jacket are very decieving. Obviously, my gripe is more from my expectation that this was about influenza. It is well researched and well written. If you are looking for a tome on these scientist, the fantastic contributions they made, and the evalution of American medicine in the early 20th century, this is your book. 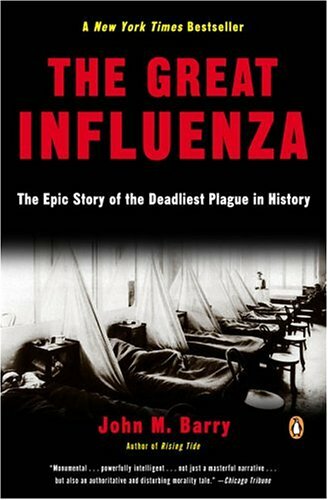 John Barry's book on the influenza pandemic of 1918 is an incredibly researched and well written account on theinfluenza virus that claimed millions of lives around the globe. The estimates vary from as "low" as 20 million to as high as 100 million. Those numbers today would almost be unimaginable. In this country alone Barry states that around 675,000 people died. In addition to the deadly virus itself, Barry discusses the state of medical science in this country at the time and how it developed, the leaders who pushed for this movement and those who tried to combat the influenza virus, and the lessons learned from this deadly pandemic and how to be better prepared in the future. This book I'm sure has and will attract a wide range of readers, as a history major I can relate to that aspect of the book more so than the scientific and medical aspect, but even that part is still very accessible, even for those of us who aren't as well versed in all the terminology. The first part of the book begins with some of the emerging figures as well as emerging institutions like the Johns Hopkins University and the Rockefeller Institute that would change and enhance the state of medical sciencein this country, which at the time lacked the leaders and institutions found in parts of Europe. Many leading figures are ably discussed by Barry, people like Welch, Cole, Park and Williams, Avery,Lewis, Army Surgeon Gorgas and many others who worked valiantly to combat the deadly effects of this particular strand of influenza. He also discusses those who saw the dangers and did little or nothing to alert others or work to combat the virus, including big city bureaucrats, the Wilson Administration and the newspapers. Indeed, he is quite condemning of the nation's newspapers who tried to reassure people that everything wasn't as bad as some were saying. This was all part of an effort to promote Wilson's idea that the nation needed to be focused on the war effort and preserving morale. Barry even concludes by saying that the coverup by the major newspapers even contributed to the fear and death toll the influenza was exacting. Maybe that's a little too strong, but I'm sure many people in various leadership positions from the local level to the top certainly didn't help matters. Barry's narrative is at its best in describing the spread of the influenza from camp to camp, city to city, and the horrible toll is was exacting on the population. Cities like Philadelphia where bodies had to wait on porches to be picked up, homes identified by markings in which a family member was either sick with or had died from the influenza. He is also good in describing the valiant efforts of those who worked hard to combat this deadly virus, many I mentioned in the previous paragraph. Many of the stories are heartbreaking where some families lost so many of their own or in populations like the Eskimos and others whose immune systems were extremely vulnerable to this kind of virus and as a result suffered higher mortality rates. People in my age group (20-30) suffered higher mortality rates than the elderly, which at first seems to us as contrary to most other death rate statistics. Bombs are as old as hatred itself. But it was the twentieth century--one hundred years of incredible scientific progress and terrible war--that brought forth the Big One, the Bomb, humanity's most powerful and destructive invention. In The Bomb: A Life, Gerard DeGroot tells the story of this once unimaginable weapon that--at least since 8:16 a.m. on August 6, 1945--has haunted our dreams and threatened our existence. The Bomb has killed hundreds of thousands outright, condemned many more to lingering deaths, and made vast tracts of land unfit for life. For decades it dominated the psyches of millions, becoming a touchstone of popular culture, celebrated or decried in mass political movements, films, songs, and books. 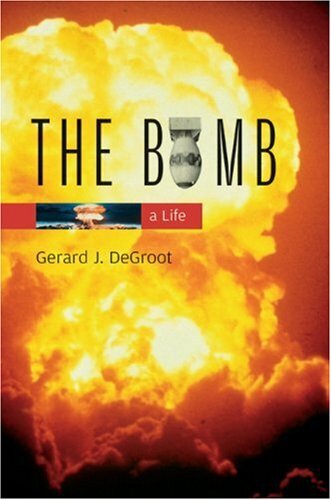 DeGroot traces the life of the Bomb from its birth in turn-of-the-century physics labs of Europe to a childhood in the New Mexico desert of the 1940s, from adolescence and early adulthood in Nagasaki and Bikini, Australia and Kazakhstan to maturity in test sites and missile silos around the globe. His book portrays the Bomb's short but significant existence in all its scope, providing us with a portrait of the times and the people--from Oppenheimer to Sakharov, Stalin to Reagan--whose legacy still shapes our world. 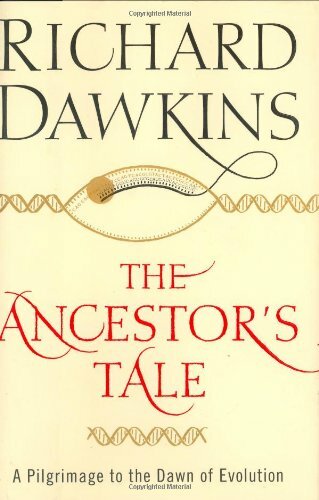 Just as we trace our personal family trees from parents to grandparents and so on back in time, so in The Ancestor's Tale Richard Dawkins traces the ancestry of life. As he is at pains to point out, this is very much our human tale, our ancestry. Surprisingly, it is one that many otherwise literate people are largely unaware of. Hopefully Dawkins's name and well deserved reputation as a best selling writer will introduce them to this wonderful saga. The Ancestor's Tale takes us from our immediate human ancestors back through what he calls concestors, those shared with the apes, monkeys and other mammals and other vertebrates and beyond to the dim and distant microbial beginnings of life some 4 billion years ago. It is a remarkable story which is still very much in the process of being uncovered. And, of course from a scientist of Dawkins stature and reputation we get an insider's knowledge of the most up-to-date science and many of those involved in the research. And, as we have come to expect of Dawkins, it is told with a passionate commitment to scientific veracity and a nose for a good story. Dawkins's knowledge of the vast and wonderful sweep of life's diversity is admirable. Not only does it encompass the most interesting living representatives of so many groups of organisms but also the important and informative fossil ones, many of which have only been found in recent years.